font creation and editing, including variable fonts and color fonts Created by FontLab Ltd., Inc.
With FontLab VI, you can create, open, modify, draw, space, kern, hint and export desktop, web, color and variable fonts. The app is an all-around font editor, but also supports data interchange with other font creation tools, making it easy to integrate into your existing workflows. 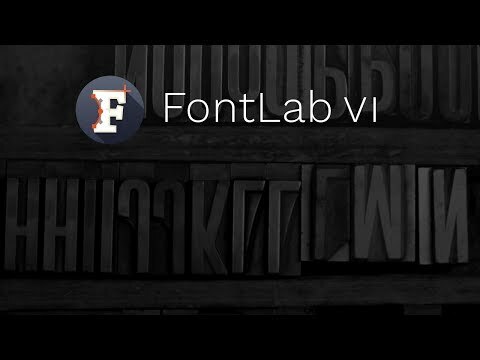 FontLab VI was added by tphinney in Jul 2018 and the latest update was made in Jul 2018. The list of alternatives was updated Mar 2019 There is a history of all activites on FontLab VI in our Activity Log. It's possible to update the information on FontLab VI or report it as discontinued, duplicated or spam. Make everything from dingbat webfonts to full-fledged text typefaces in the most Mac-like font editor. Easy-to-use font editor for Mac. Fontographer is a font editor for mac and windows. Use your pen to create a custom font based on the nuances of your own handwriting. Install the fonts you create to add a personal touch to everything you do. A browser-based font editor, font creator, featuring the most versatile real-time multiple glyphs editing system. Open beta. Alternatives to FontLab VI for Mac, Windows, Linux, Web, Software as a Service (SaaS) and more. Filter by license to discover only free or Open Source alternatives. This list contains a total of 10 apps similar to FontLab VI. Very powerful app. This is a Photoshop for fonts. Maybe you want to be the first to submit a comment about FontLab VI? Just click the button up to your right!